Our bail agents have been conducting bail bonds in the Santa Clarita Valley and surrounding communities (including bail bonds for Canyon Country, Newhall, Saugus, Stevenson Ranch, and Valencia), for over 30 years. Our bail bonds company understands that when you need bail help, quick response is most important. Call us in the Santa Clarita Valley for your bail bond needs at 661-254-5822. In most cases, our local agents can travel to the Santa Clarita jail (or your location) within minutes to help you with your Santa Clarita bail bond. We offer 24 / 7 free telephone consultation. We can send our contracts by email and fax. 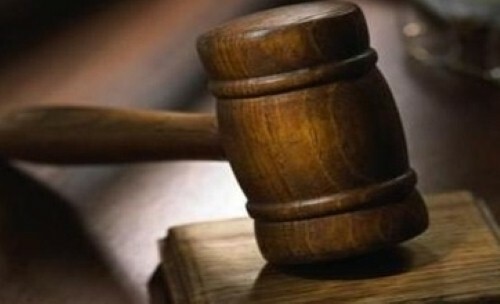 Our company has been conducting bail services since 1971. Confidential. We understand this is a private matter. Creative solutions to meet your needs. Financing for those that qualify. Sometimes, our clients have a negative stereotype about bail bond companies. We are confident that our professional staff will positively alter your perceptions about our industry. Please allow our company an opportunity to earn your trust and respect. We also invite you to tour the rest of our web-site to gain an understanding of who we are and how the bail process works. Be careful when choosing which bail company to use. Over the years, there's been many scams by con-artists posing as bail agents. Also, be wary of any bail company "cold calling" you. It is illegal to "cold call" a potential bail client. Perhaps you are located in Santa Clarita and have a bail bond in another part of California. We provide bail bonds throughout California. We have an extensive network of strategically placed agents that can assist throughout the entire state of California. We service the entire SCV. For your convenience, we provide a zip code listing of Santa Clarita Valley cities served. Also, our company can assist with Federal Custody Appearance Bonds. Allow our company to assist you with your Santa Clarita bail bond by calling 661-254-5822. 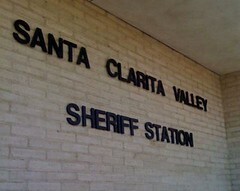 Santa Clarita bail bonds are posted at the Santa Clarita Substation of the Los Angeles County Sherriff's Department. This jail and substation is located east of the 126 hwy. The major cross streets are Magic Mountain Pkwy and Velencia Blvd.